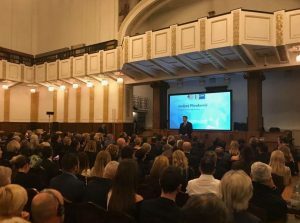 The German-Croatian Chamber of Industry and Trade celebrated its 15th anniversary on Thursday evening. The event also addressed the president of the Chamber, Ralf Blomberg, and German Ambassador to Croatia Robert Klinke and Croatian Prime Minister Andrej Plenković. Blomber said that the inauguration of the Chamber in 2003 had opened a new chapter in the two countries’ economic cooperation. The chamber has 416 members and it has made a significant contribution to the positive development of the German-Croatian economic relations, he stressed. 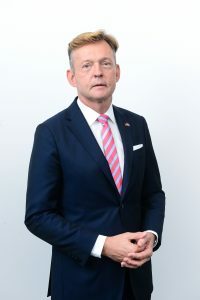 Klinke said the economic component was an important part of the two countries’ overall relations, adding that Croatia and Germany had a long-standing economic cooperation. Prime Minister Andrej Plenković underlined the importance of the Chamber for the establishment of quality economic cooperation between the two countries. Plenković stressed that Germany was Croatia’s number one foreign trade partners, adding that Croatian exporters were very interested in being present on the German market. He also stressed that the issue of trust and partnership was exceptionally important.